Start / Finish line area Registration closes at 8:00 am. 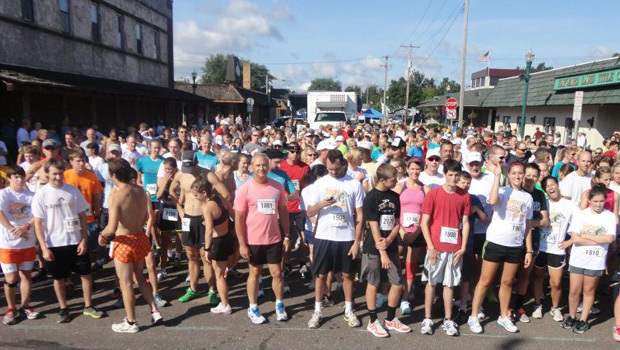 The Musky 5k Run/Walk and 10K Run is a fun and non-competitive event. The course follows a route through the downtown and the City of Hayward starting and finishing on Main Street in front of People’s Bank. This year will offer a separate 10K route. There is also a free Minnow Run for the youngest members, ages 12 and under, of the family which loops a downtown area block. All participants receive a prize.